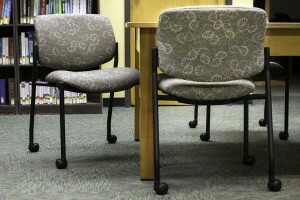 If those old, red chairs made you blue, we have good news for you! 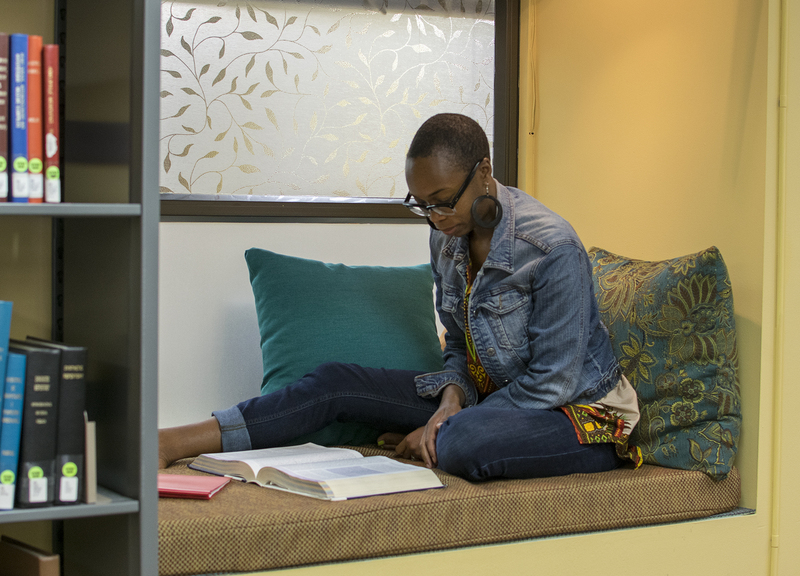 In response to last spring’s library survey, we have been working to make the library a more comfortable space for study, research and reflection. 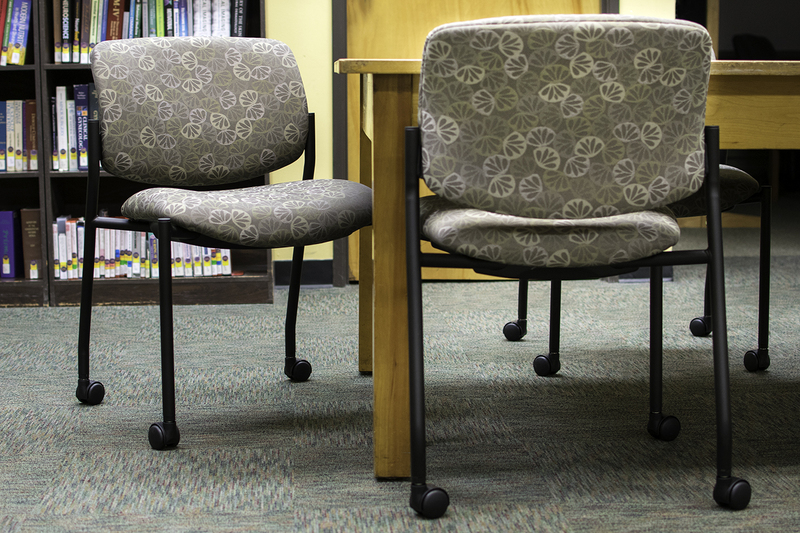 Over the summer we replaced many old chairs with new ones; they have wheels and an extra inch of foam for long-term comfort. We also created two new window well spaces for cozy study time , with pillows and reading lamps. And we added new, large whiteboards to the group study rooms. A big thank you to all of you who responded to last years’ survey. Please keep the suggestions coming — we are listening!